يقع فندق فندق كوزموبوليتان، المصمم ليناسب كل الضيوف سواء كانوا من رجال الأعمال أو السياح، في مكان ممتاز في أحد أكثر المناطق تفضيلاً في هذه المنطقة. يحظى هذا الفندق ذو 4 نجمات بمكان ممتاز يسمح بالوصول إلى المعالم السياحية الأكبر في المدينة، فهو يبعد مسافة 5.0 km عن صخب المدينة. كما يمكن الوصول بسهولة إلى عدة معالم سياحية قريبة. يعرف 8Hotels Collection بالمستوى الراقي لخدماته ولباقة موظفيه، وهذا ما ستجده في فندق كوزموبوليتان. يقدم الفندق واي فاي مجاني في جميع الغرف, مكتب الاستقبال على مدار الساعة, مرافق مخصصة لذوي الاحتياجات الخاصة, تسجيل وصول/خروج سريع, تخزين الأمتعة لضمان الراحة القصوى لضيوفه. تعكس غرف الفندق البالغ عددها 86 المنتشرة في 4 طوابق جواً من الدفء والألفة.خدمات عصرية مثل تلفزيون بشاشة مسطحة, قهوة فورية مجانية, مرآة, مناشف, اتصال لاسلكي بالإنترنت موجودة في بعض الغرف المختارة. كما أن مجموعة الخدمات الواسعة الموجودة في الفندق لضمان راحتك تترك لك الكثير من الخيارات لقضاء وقتك أثناء فترة إقامتك. إن فندق كوزموبوليتان هو مكان مثالي للمسافرين الذين يتطلعون إلى الراحة والاستجمام في المدينة. يجب دفع وديعة تأمين بقيمة 100 دولار أسترالي عند تسجيل الوصول لتغطية الرسوم أو الأضرار خلال فترة الإقامة، وسيتم استردادها في غضون 7 أيام عمل بعد الإقامة. 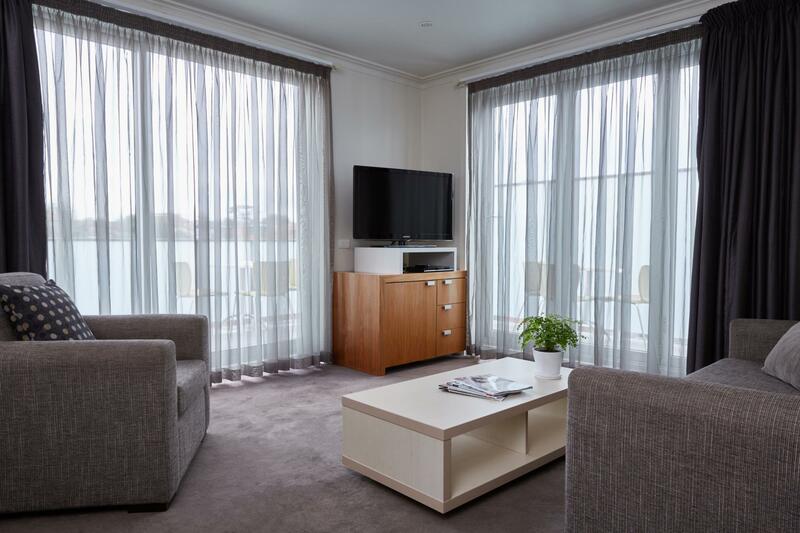 Like this hotel and great room, cleaning of room seems to be a bit hit & miss, cleaners asking is that enough all the time, they should know when a room is clean or not? Vacuum the floors, change the linen, clean the kitchen, not that difficult right. I was in St Kilda for a theatrical event. This hotel was close & relatively cheap. Ackland St and its wonderful eating houses is only a block away (although, beware! Breakfast is a bit more of a trouble -- most of these places avoid breakfast.) The hotel will give you a "packed-lunch-type-of-breakfast. I thought I'd do better outside -- and failed. Still, there is a Macdonalds just 2 blocks away. Staff were friendly & helpful (although surprised that I had left my car in Craigieburn & used public transport to get to St Kilda). The no 16 tram from Flinders St will get you there, no troubles! Although small, room was quiet and had everything I needed. Stayed 2 nights. We had a rented car, so the car park was convenient, side road parking would have been difficult. The staff were very friendly with fast check-in and out. The room was a bit smelly when we arrived as the sun was shining the whole day, bit like old carpet smell. Opening the windows for couple of minutes sorted it. Location wise it is 5 mins walking to the beach, nice little restaurants around, all very nice and cool. Fine location (quite far from the beach though). The staff weee very nice. However, we booked a family room WITH BREAKFAST BUT the restaurant was closed and we were told that it’s closed on weekends. No other explanation just that. We cannot do anything and we cannot even complain. 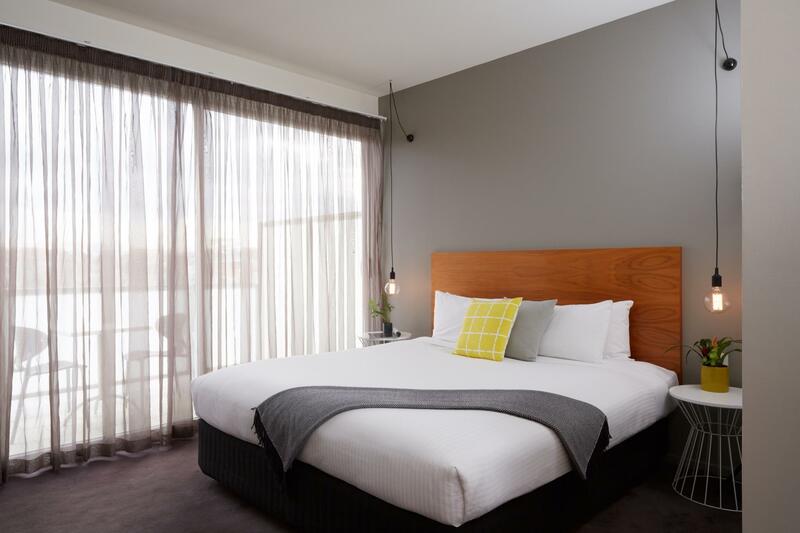 Our first time staying in St Kilda and the Cosmopolitan Hotel proved an excellent choice. 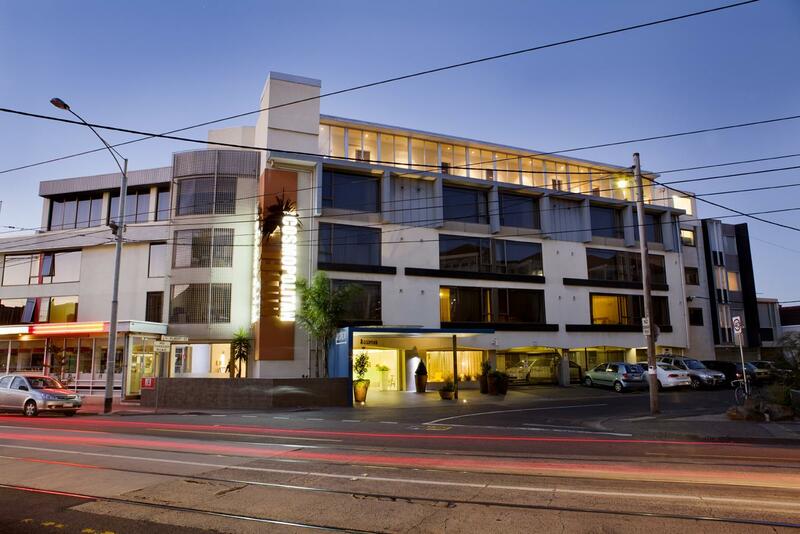 The location was only a short walk to Shops and Restaurants, Trams, Buses and the fabulous St Kilda Beach and Promenade. The staff were welcoming, the room was large, clean and very pleasant. The laundry facilities proved useful and were well kept. We found a nice spot in Acland Street called the St Moritz Cafe and had a beautiful breakfast there. 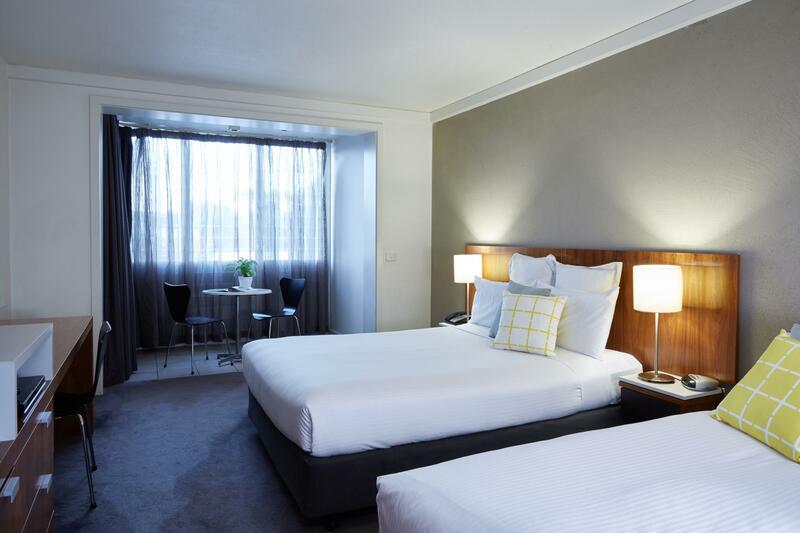 We would definately stay at the Cosmopolitan again if travelling to Melbourne and recommend it to all. The room was spacious, clean and with a nice view of the neighborhood. A solid hotel option. But the location of the place is what makes it truly perfect for exploring St. Kilda and Melbourne. The lovely cake shops of Acland Street and the iconic Luna Park are both literally around the corner, and the penguins on the St. Kilda Pier are just a short stroll further. As for public transport, the tram which stops at Luna Park takes you quickly to South Melbourne and the CBD if you want. Furthermore, the Skybus stop is on the doorstep of the hotel, if you need to get to the airport. Stayed here with my older daughter for a few days. We had a great time, teh hotel is well located with many restaurants nearby. nice comfy bed. and spacious room.overall we had a pleasant stay. Close to the beach and Luna park with a short walk. A lot of restaurants around and the tram station is just very close to the hotel. Parking is provided which is very convenient with the travelers with a car. Will stay there again. This small hotel at the corner of the street is unassuming, but the warm welcome and enthusiastic staff is something one will not forget during a holiday. 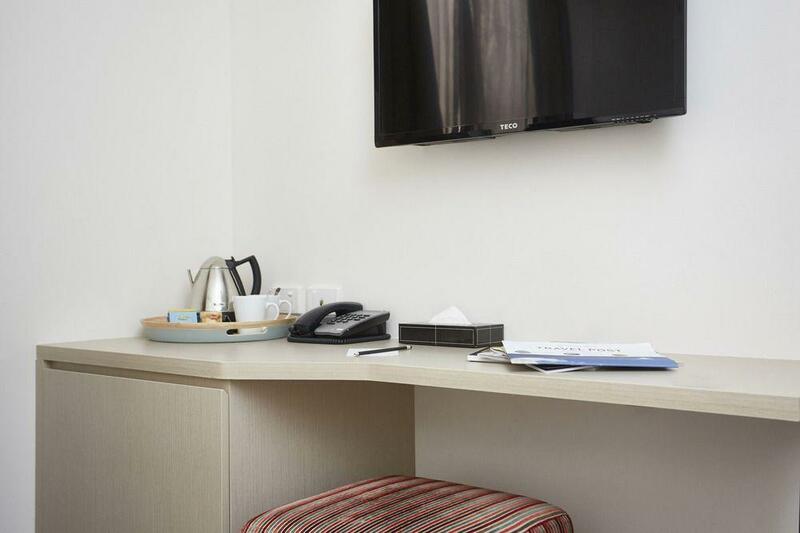 The rooms are large and comfortable and well cleaned every day. The location to the beach and nearby cafes are also great. everything was met our expectations. the strategic location , the complete utilities dan the in- house cleanliness totally made us satisfied. 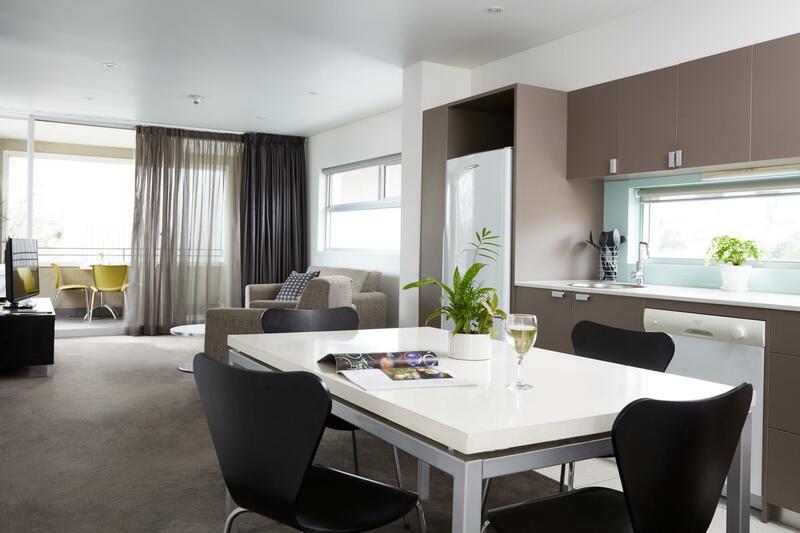 surely will come again and highly recommended to those who are looking accommodation in Melbourne. Free secure parking and wifi is definitely a plus! Check-in was a breeze. Staff were very friendly and helpful. Really made my day after a long day on the road. Room is clean and spacious but we stayed in the annex block so we had to get out from the lift lobby and out into the outdoor corridor which was cold in winter. Room was pretty cold at night despite having the heater on. Shower cubicle doesn't have any racks to put your toiletries so we had to put them on the floor. Other than that, everything is perfect. Oh, and I must add that the breakfast was really good. Simple eggs on toast, you get to have eggs the way you like them. You know the staff are really passionate in their job. Overall is good. Just the water flow is pathetically small from the shower head. Complaint twice to have the issue fix, but problem still persist. Would not recommend if you are looking for a relaxing hot shower during winter. The staff was probably what made the biggest impact to me.They were all so friendly and accommodating. The central location close to good transport links made it any easy stay and I was so surprised how quiet it was even though it was right near all the action of St Kilda. Will be staying there in the future that's for sure. location was amazing , the look and feel of the place, cosy and clean ! We had a group of 4 people and we all had a bed to sleep on ! The place was cosy and modern and just simple which we loved so much. 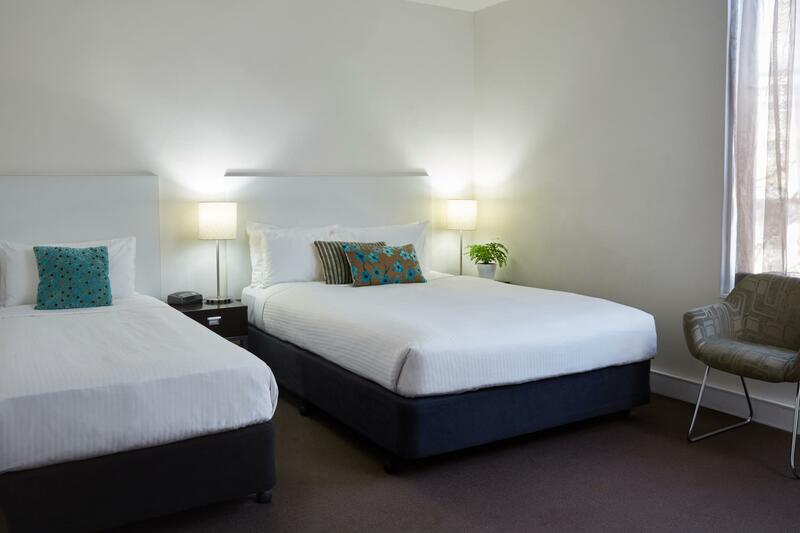 The location was perfect ,only a 2 minute walk to the main street of st kilda shops and food places and a 5 min walk to luna park and the beach ! I stayed here last week, but in a Deluxe room, which was quite a bit nicer. This time I was with a friend and we stayed in a twin room. It was a bit more outdated than the Deluxe, and the shower wasn't anywhere as good. But still good, and I would definitely stay here again. Great location! Clean room & had no problem with check in apart from keeping a bond which later refunds. Room is small but clean. Comfortable bed. Closer to St.Kilda beach. Tram goes at the front so easy to get in there & travel to city etch.Many restaurants on Acland st that are famous. Staff has bn friendly on checking out. Carpets & the design of the place is nice. Check out & check in is fast. Bathroom was a bit too small. However happy for the price i have paid. 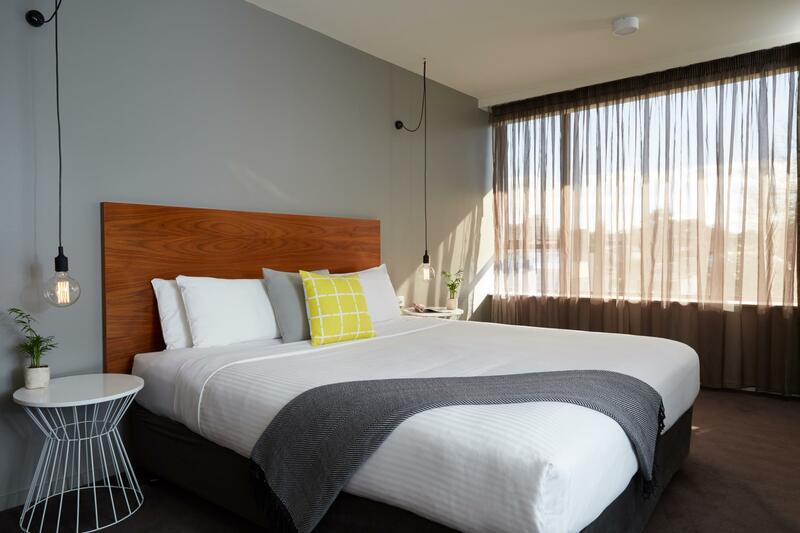 I was looking for a hotel close to the city that offers free parking, so finding Cosmopolitan Hotel(which is centrally located at St. Kilda) is a major bonus. I was pleased that they have a secured car park that can only be accessed with the room cards. Moreover, even though there are limited car slots, you are allowed to park your car at random spots when it does get full. The staff members at the reception are happy to take your keys and move the cars around if you so happen to obstruct other cars. However, the interior of the hotel does look a little worn and inaccessible (we got a room outside what looks like an emergency door, which was a little annoying when we moved our luggages in). Room cleanliness can also be improved. However, they have got incredibly comfortable beds and that's always good. Overall, a pleasant stay.